Wisconsin Creek winding from the Tobacco Root Mountains, through our neck of the woods to the Ruby River less than a mile away. Sometimes it has water and sometimes it does not. 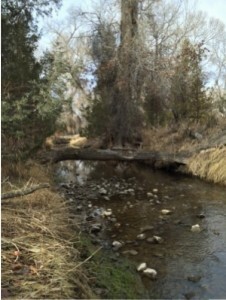 It always has an abundance of wildlife that use the creek and the shelter of the cottonwoods that flank it as a corridor to travel safely and as home base.